is a Genealogy/Family Tree project started in September of 1997. If you are a BONNELL, or are willing to admit that you're a relative, you might find this interesting! I'm looking for NEW information and I'm willing to share information as I climb this tree. 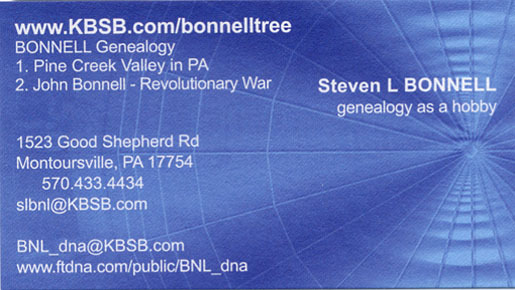 If you're on the tree ANY-where, I'll add you to the BONNELL E-MAIL list, plus the URL-WEB Page list -- if you desire. 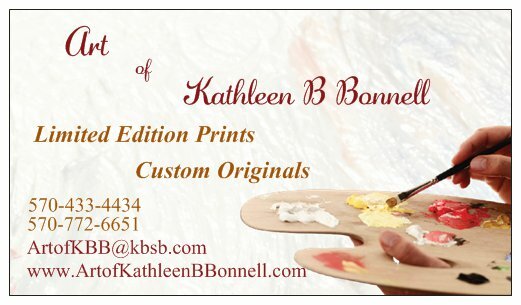 Also, please visit the "In Search of JOHN BONNELL" page. People have been looking for this guy for years! within this domain are: a Montoursville High School un-official page (which includes an E-Mail List), a personal 'point of reference' regarding the TWA Flight 800 Crash, some pictures & comments about my time in the Coast Guard, plus some unique links. services from basic website design to full-blown e-commerce website development. is similar to something I've been writing since ninth grade. . .